Roswell Park Cancer InstituteDr. Heinz Baumann, left, and Dr. Kenneth Gross use jellyfish proteins to make cancer cells fluorescent. 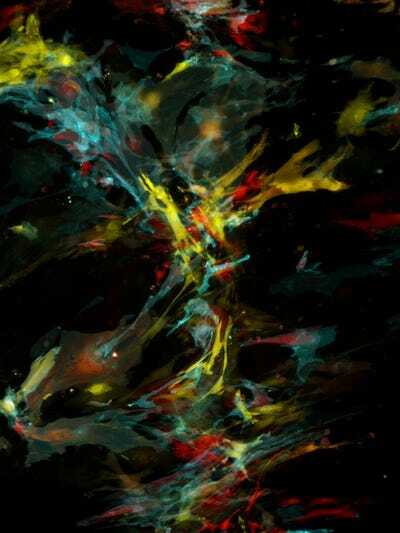 Researchers have found a way to turn an ugly disease into beautiful artwork. 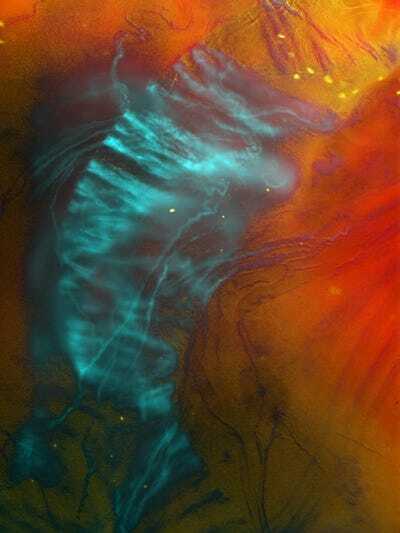 Scientists at Roswell Park Cancer Institute, the world’s oldest cancer research center, are injecting fluorescent jellyfish proteins into cancer cells and tumours, and the results have created images so stunning that they’re giving others the chance to see them. 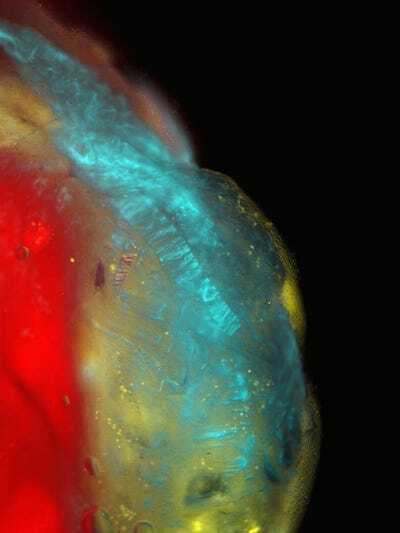 While the microphotography is beautiful, it also serves a purpose: the fluorescent cells help Drs. Heinz Baumann and Kenneth Gross colour-code cancer cells and track how they behave over time. The doctors now use the technology like a tracking device. Baumann and Gross will inject a colour, like yellow, into a cell and monitor it over time. 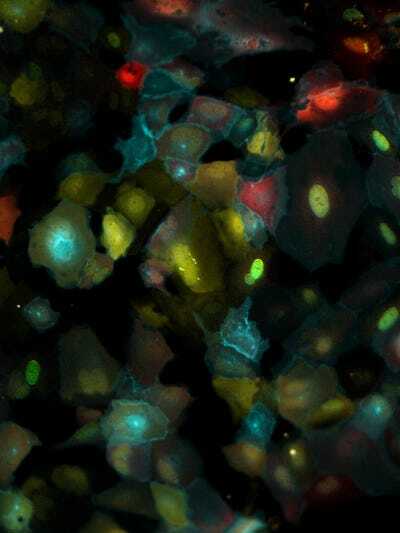 They can see how tumours progress, the behaviour of tumour cells and trace the genetic origin of tumours. After tumours are colour-coded, the doctors perform gene sequencing to understand what genes might be contributing to a tumour cell becoming cancerous. The doctors try to understand which genes are broken in a sequence and what might be making cancer rates higher. They also study cancerous cells against non-cancerous cells to understand what makes them different. The artwork has helped the doctors better explain how their research works. Now, anyone who visits the hospital can see the work lit up throughout the hallways. The images are displayed in light boxes at the hospital. 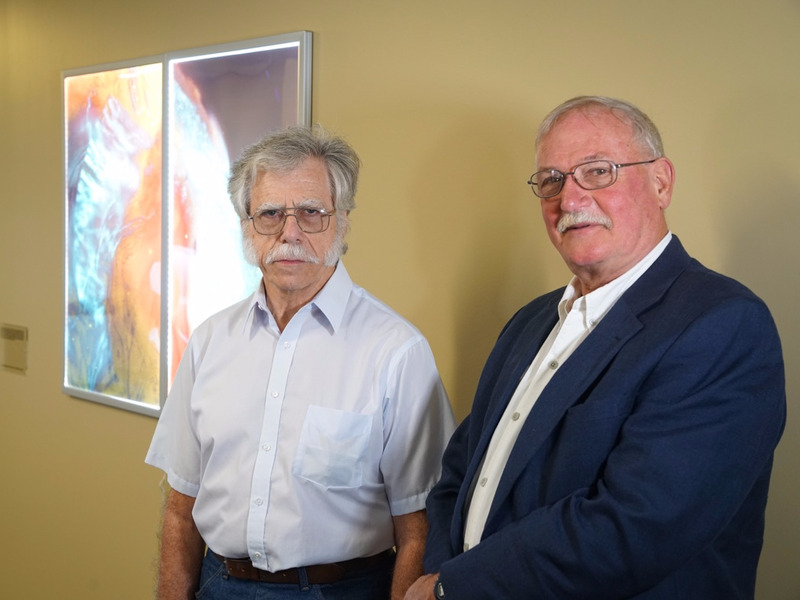 Gross and Baumann's images are part of a collection of 200 works of art hanging in the hospital's new clinical sciences center, so patients and doctors can view them while walking the hallways. 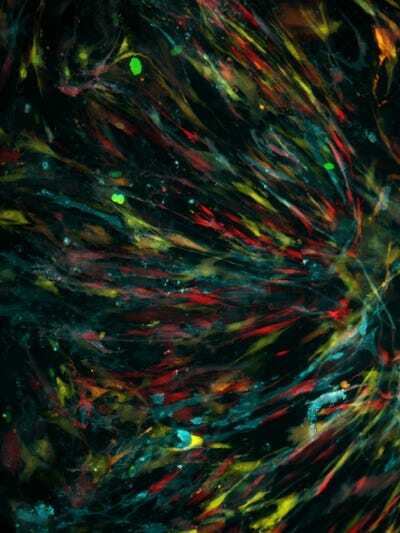 But these images have real implications: they give the doctors a better idea of what makes some cells turn into dangerous tumours -- meaning that the research could help find a cure for cancer.